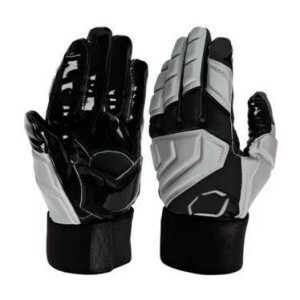 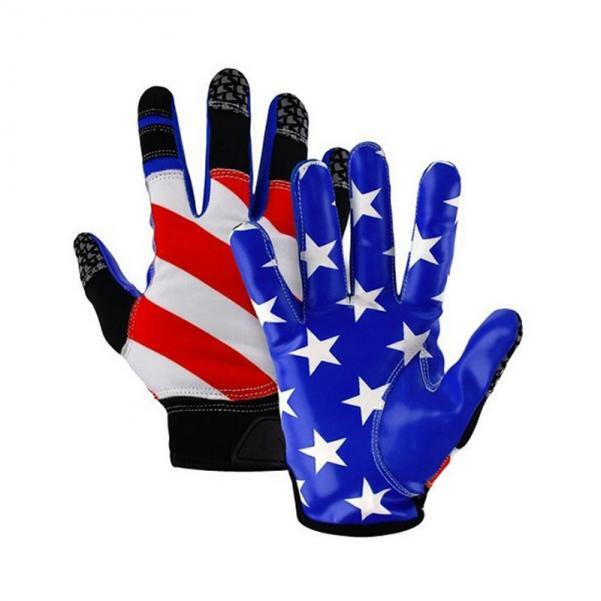 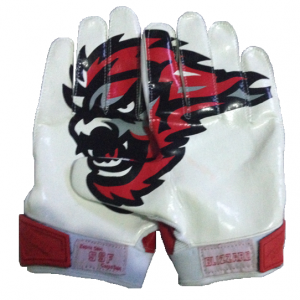 The All-American receivers gloves are a great way to show your pride regardless of which team you play on. 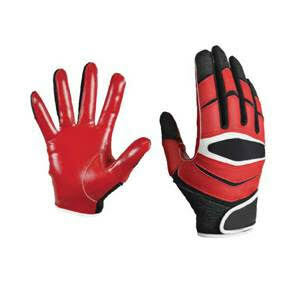 This glove offers a full tack grip silicone palm and fingers, providing you with the ultimate grip. 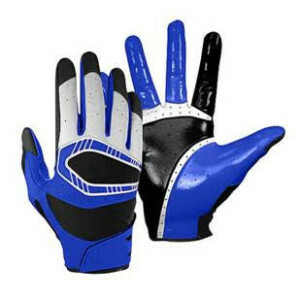 The All-American glove is available in youth and adult sizes.